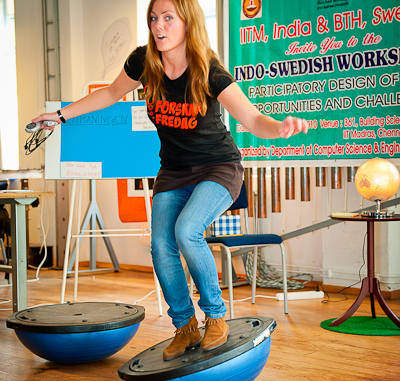 Sofie Persson, project assistant in applied health technology tests visitors health during Researchers’ Night in Karlshamn 2010. Participants are invited to check their own health using different methods and with assistance and explanations from one or more experts. People can measure things like their blood pressure, pulse, lung function and stress level. Preparations: Appoint someone who can run the activity. Decide on a venue and format. Organise the necessary materials and experts. Challenges: Having the right number of stations for the number of visitors who want to test their health. Benefits: Attracts a broad target group and relates to people’s everyday lives.